While Italy may be the home of famous car manufacturers such as Ferrari and Maserati, anyone who has had to drive and park in one of the country's cities may not be too enthusiastic about having to relive the experience. The public transport network in Italy is quite good, and incorporates trains, buses, and ferry services around the coast, and is definitely worth considering if you are looking for a slightly less stressful holiday experience. Here is a look at the Italian transport network, and a few ideas on how to plan your travel without having to get behind the wheel of a car. 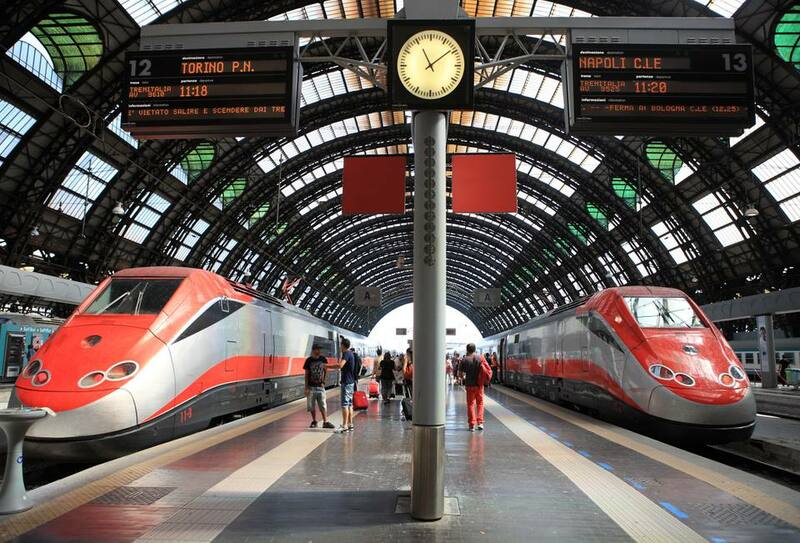 For many years Italian railways had a poor reputation for their quality and timekeeping, but significant investment in the infrastructure and the trains serving the country now means that most journeys in between the major cities can be completed on high-speed trains that are faster than flying. If you are on a budget then you can still travel on local trains that will take a little more time, but booking ahead as much as possible, and using online booking systems can usually bag you a seat on one of the high-speed services for a very reasonable price. If you are going on one of the longer journeys, such as Milan to Rome or traveling between Rome and Sicily, the range of sleeper trains are safe and comfortable, and well worth considering as an alternative to taking a flight and paying for an additional night's accommodation. While they may not be as fast as the high-speed trains, the large number of branch lines and services that criss-cross the country cover most places and are affordable, and you will usually just buy a ticket at the station and hop on the train. Unlike the high-speed trains, you won't find any reservations about these services, and you may not always get a seat during the rush hour services. However, the prices are inexpensive, but just remember to ensure that you validate your ticket before you get on the train, using one of the self-service machines on the platform. You can also purchase tickets that allow you unlimited rail travel in a particular region, which can be a very affordable way to get around if you are staying in one particular area. The bus network in Italy is one that is growing quickly, particularly the long-distance bus services with companies that provide coach routes in many countries such as Megabus and Flixbus starting to offer long-distance fares in Italy too. Local buses can be a bit of a mystery, but your local tourist office will usually be able to help you find a particular bus or route. Tickets are purchased from shops or automated ticket machines at the bus station and are validated once you are on the bus, while there are a few inspectors that do come around to check tickets. The Mediterranean and the Adriatic offer plenty of ferry routes to neighboring countries, while there are also plenty of services that travel to the Italian islands such as Sardinia and Sicily, with the busiest of these services operating from Genoa, Livorno, and Naples. There are several services online that allow you to search the different routes, with the Traghetti website being a useful resource for this purpose. With several large lakes in the country, you will also find some local services that are often very popular among sightseers who enjoy the views, with Lake Maggiore, Lake Como, Lake Garda and Lake Iseo among those offering ferry routes.